Dining area is principally the most important part of any home. This is one place where the entire family gathers up to enjoy food and spend qualitative moments of togetherness. Perchance, this is why it is being asserted that dining area should be imbued with comfortable and relaxing dining table and chairs. Irrespective of the material, wood, oak, high closs or glass, well-placed furniture makes your personal space all the more beautiful by proffering it with requisite ambiance. What is even interesting is changing expectations of buyers, as it is seen that users these days have become increasingly selective in their tastes. It is being observed that fixtures that serve the dual purpose of beauty with functionality are preferred more. Consider for example, Future In Fashion store offers you with extendable dining table and chair. Such dinette sets provide you with a flexible choice to increase or reduce table size in accordance with personal dining needs. So, no matter what time of the day it is, your dining area is ready to accommodate your specifics almost instantly. But, there is one problem! There may not be any dearth of furniture items for your dining area, but there is obviously lack of information which often results in regrettable decisions. Therefore, below is a thorough rundown into the tips for buying dining tables and chairs extendable, as a reference guide. Have a glance? • Knowing Your Needs is the Key: Before beginning your quest, don't forget to pen down your personalised requirements, that may comprise of- the base material (wood or glass), money you are willing to spend on a specific deal, sturdiness of extension part, usability of dinette set, size and shape of dining furniture, etc. These factors are paramount in making the right choice. • Finding the Right Material: You may not be aware of the correctness of material used in manufacture in the first go, but it is important that the material is carefully examined. Thus, it is suggested to verify durability of fixtures you are planning to shop for, with the concerned dealer. Don't forget to leverage benefits of any special offers being offered! • Quality First! Undeniably, paying attention to the price is vital, but that must not refrain anyone from compromising on quality. Thus, search for a dealer who can assure you of quality products, at genuine prices. One can even scroll down the Internet to gather reviews on company's profile, so as to establish authenticity of the dealer. • Setting a Scheme is Important: To sum up the list, it is of utmost significance that the chosen dining table and chairs set a scheme, especially in terms of colour and silhouette. This is because a misplaced dining set would rather hamper the appeal of your personal space. Furthermore, do ensure that the extension has been neatly placed beneath the table top, thus, giving it a fine finish. 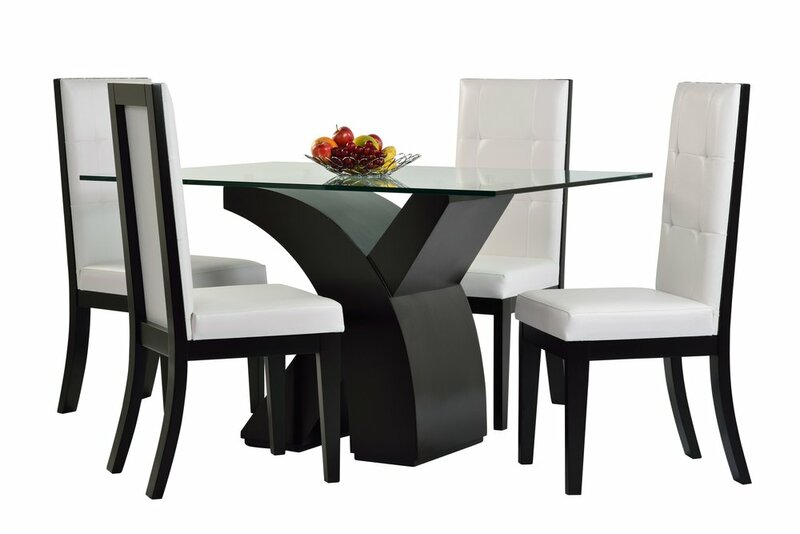 This was just another quick checklist into what goes in buying extendable dining table and chair for your home. So, be a well-informed buyer and undertake the right steps to ensure a profitable deal.